The Boy Scouts have a pretty good motto, "Be Prepared" and it is certainly a maxim to live by. 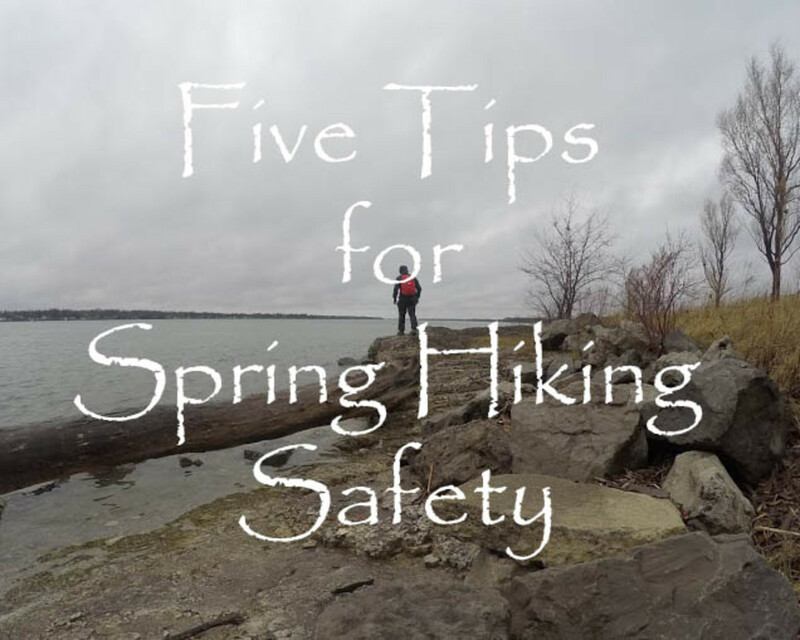 However, If you don't heed that advice in the outdoors, it could be something to die by. The outdoors is a wonderful place; however it is a potentially dangerous place full of hazards not encountered in city life. In studying backcountry incident reports there is usually a common link amongst those injured and lost: unpreparedness. From not being physically prepared to handle the terrain to not carrying the simplest of gear on a day hike, the unprepared give search and rescue teams good practice. Though I'll address physical preparation in another article, the easiest way to be prepared for any outdoor activity is to carry the "Ten Essentials." Now the name can be misleading, sometimes there are more than ten, and yes sometimes even an essential item doesn't always make sense for the environment you are in. The Ten Essentials are guidelines for what to carry in the outdoors: are you allowed to carry more - absolutely, less - let's program SAR teams into your satellite phone. 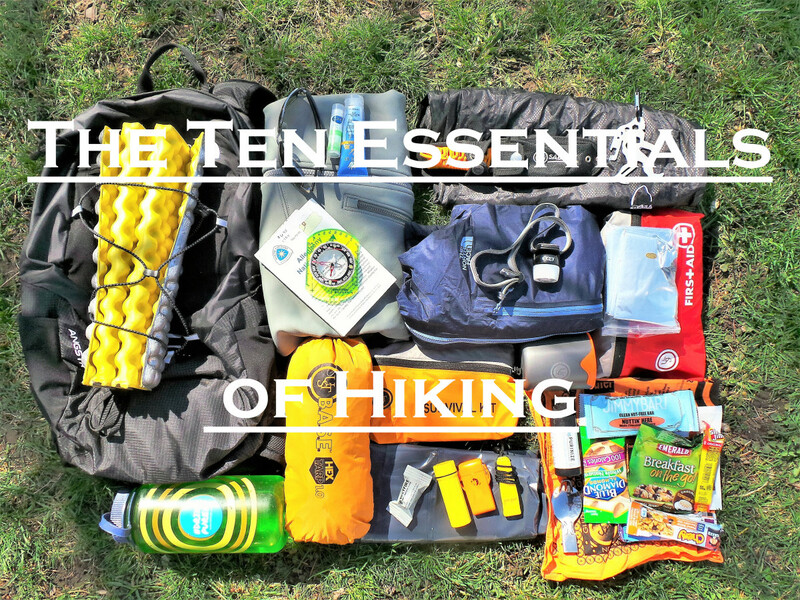 The Ten Essentials have been around in one form or another since the 1930s when The Mountaineers climbing club first released their list. Though many outdoor organizations have their own Ten Essentials list, the list in this article is based on the current edition of the must-have backcountry book Mountaineering:The Freedom of the Hills. Even if you're not a cold-weather mountaineer, this book should be on everyone's outdoor book shelf. 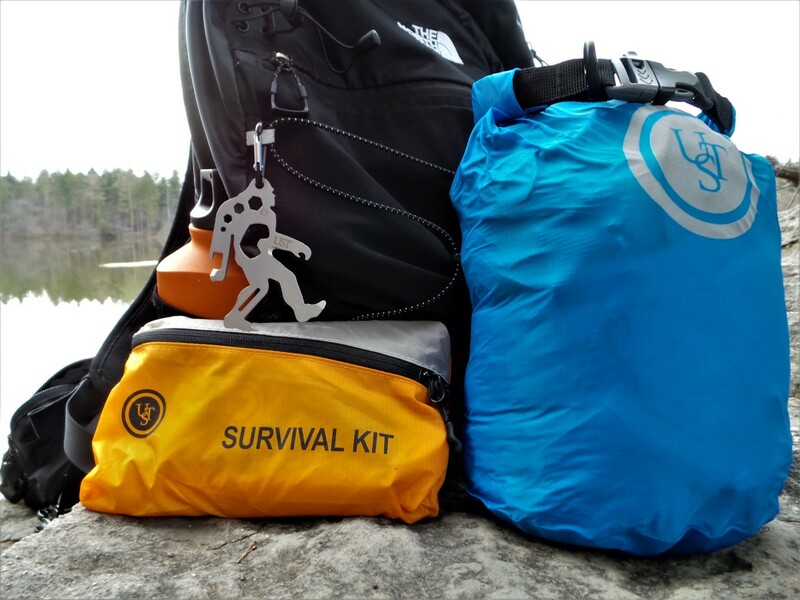 Having the right items in your pack elevates your level of comfort and survival on the trail. Having google earth on your iPhone does not excuse you from carrying a map and knowing how to read it. Before heading into the backcountry you should master these three map skills at the least: deciphering terrain features, understand contour, and be able to estimate distance. Again having a GPS system does not make you exempt from carrying a compass. A GPS is a mechanical device which can fail and can run out of batteries. Though there are many compasses on the market, I would suggest carrying an orienteering model with a clear baseplate from a reputable company like silva, brunton, or suunto. Like a map, know how to use a compass before heading out. For those of you that haven't heard yet, the sun's rays can be dangerous to your health at all times of the year. Many winter backpackers have skipped carrying sunglasses and sunscreen, only to end up sunburned and snow blind. To avoid the sun's rays carry a pair of polarized sunglasses, sunscreen (sport type SPF 15 or higher), lip balm, and a hat. I like to carry a bandanna that I wear around my neck too. You may also want to check out specialized sun apparel, like Columbia omin-shade, that has sun protection built into the garment. Our bodies are machines, in order for our engines to work we must provide it with the proper fuel. Pack nutritious, electrolyte replenishing, and long burning trail snacks. Avoid food with complicated preparation and that which generates a lot of waste. 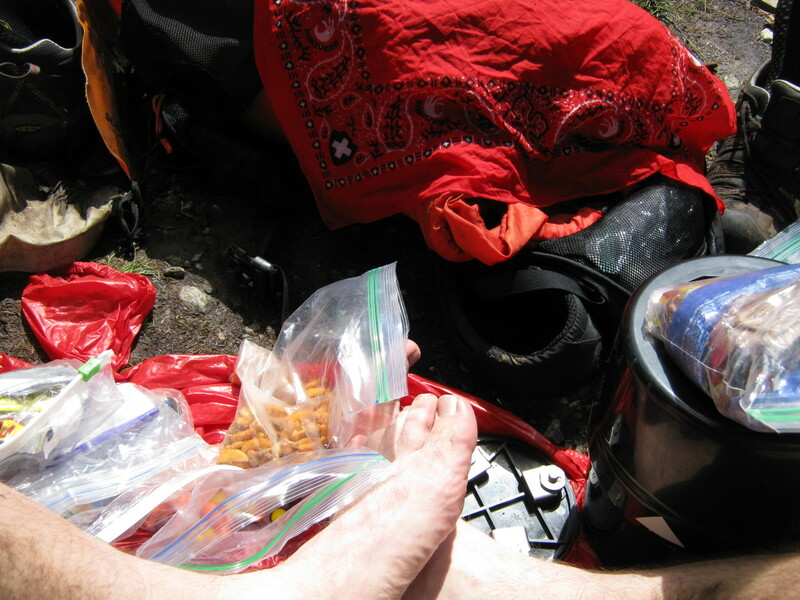 Some excellent trail snacks are GORP (good ol' raisins and peanuts), granola bars, beef jerky, and donuts. Okay the donuts aren't good trail snacks, but I like donuts so I put them on the list. Because water is one of the heaviest things most backpackers carry at 2.2 pounds per liter, you may consider carrying something to purify water. Water can be made potable through mechanical filtering, boiling, chemically treating, and using UV light lamps. Consider all water, even in the most remote areas, unsafe to drink. Sure you could carry a hand held flashlight, but try climbing, bushwhacking, or carrying anything you'll wish you had another hand - or a headlamp. Headlamps are available in a myriad of styles, but if you are purchasing one look for an LED model. LEDs are much more battery efficient and have an extremely long bulb life, generally you don't even have to carry extra batteries. Wear synthetic or wool clothing - it wicks away moisture and retains its thermal properties even when wet. Several thin layers are much better than one thick coat - air (which is easier to warm) is trapped in between the layers. The flexibility of layers allows you to add and subtract layers as the conditions or your your body exertion changes. Even when no rain is forecast, you should bring rain gear. Though ponchos have their advantages, I prefer rain suits. A good waterproof breathable jacket allows the perspiration to escape and serves as an outer wind/rain/snow layer. Make sure you buy rain gear large enough to go over all of your layers. If you buy a jacket with a waist drawstring you can stuff your jacket with leaves in a survival situation - try doing that with a poncho. Most likely you will never have the opportunity to suture in the field on a backpacking trip, but you'll probably have a few abrasions and blisters to deal with. You don't need to carry an EMT jump bag with you, but a small personalized first aid kit can quickly alleviate most wounds. Always tailor your first aid kit according to the trip duration, environment, hazards, and participants. Okay Crocodile Dundee I know "knife" is on the list, but you may want to leave the machete at home. The bigger the knife, the heavier the pack and the larger the first aid kit. As a backpacker, I can accomplish all of my knife tasks with a 3-inch blade. Sure sometimes the peanut butter jar is deeper than that, but it's the wilderness and I make do. Knives are actually quite handy, from making quick work of slicing pepperoni to performing complex survival skills. Many people opt to carry Leatherman-type multi-tools and the Swiss Army Knife has been popular for decades. I tend to like small non-folding neck knives. So what do you look for in an outdoor essential knife? That really depends on the user: each knife has a character and a purpose. Something to ponder though, if your pack is pinning you down underwater and you have to cut yourself loose: how much do you trust your knife? "Matches? I don't need no stinkin' matches! 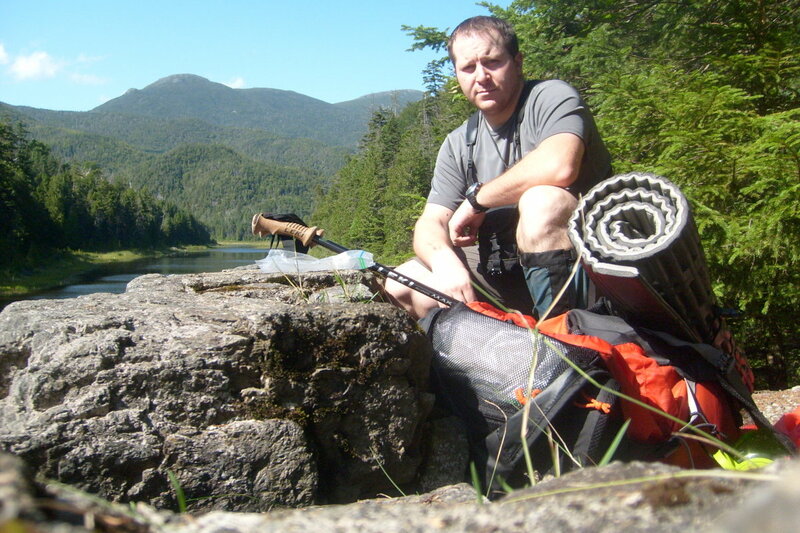 I'm just going on a day hike and I'm not planning on starting a fire or lighting a stove." Well, you may not be planning on it, but Aron Ralston didn't plan on amputating his own arm either (yes, another reason for carrying a knife). Carry matches in a waterproof match case, then put that match case inside of a plastic bag. Don't forget to cut a match striker off of the box and sick it in the match case too. Besides matches, you may also want to carry a butane lighter. If you train yourself to look for tinder, you can usually find dry or ignitable tinder even in a rainstorm. Sometimes, finding dry tinder - especially when it is dark outside - is extremely challenging. Carry a few fire starters to make starting a fire easier. Though many fire starters are commercially available, you can make your own too. Try smearing cotton balls in Vaseline and store them in a plastic snack bag - just light them and watch them burn. As a skill, learn to find natural tinder and what materials in your area burn even when wet. Also, learn to carve a fuzz stick with your knife. To make a fuzz stick, carve a small stick in one direction and leave the shavings attached. Carve all the way around the stick and then begin moving down the stick, until the stick looks like a sickly conifer tree. Place the fuzz stick directly over your tinder to maximize the success of starting a fire. Whistles are so important, that I usually carry two with me. The pealess 122 decibel Jet Scream whislte is freeze proof and it floats. Though a few items are not in the classic Ten Essentials list, there are few other critical items that everyone should carry with them. Whistle - Even though, the whistle isn't on the official list, you NEED to carry one. Think not? Go outside and run two-miles then scream "Help" for as long as you can. (Before doing this please alert your neighbors you are engaging in a survival experiment) Tough, isn't it? It is much easier to call for help with three blasts of a whistle - the whistle distress signal - than it is to yell. Make sure you buy a "pealess" whistle, so the whistle continues to work even if it is frozen or wet. Garbage Bag - Garbage bags are one of the most awesome pieces of outdoor equipment. Not only can they be used to pick up the trash of inconsiderate outdoor ruffians, but they can save your life in a pinch too. Caught in a rainstorm and freezing cold, turn your garbage bag into a waterproof vapor barrier liner. Spending the night without a sleeping bag, fill your garbage bag with leaves and crawl inside for a "comfy" night's sleep. 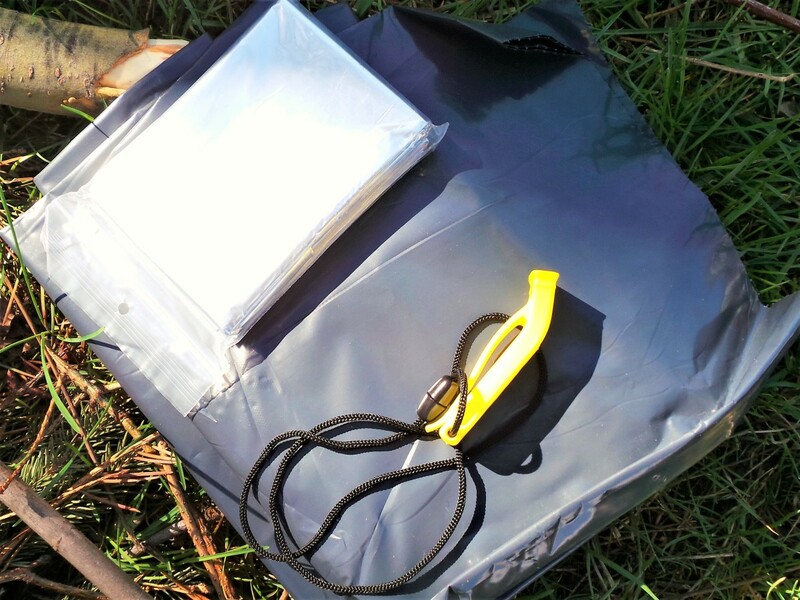 No fresh water to drink, procure water by using the bag to build a solar still. Skip the wimpy household bags and opt for a large contractor grade garbage bag. Space Blanket - Mylar space blankets are inexpensive, light, and very useful. These simple blankets reflect your body heat back onto you and block the wind and rain. Often during winter hikes, I'll pull one out to cover myself during long breaks - sometimes it is easier than adding layers. 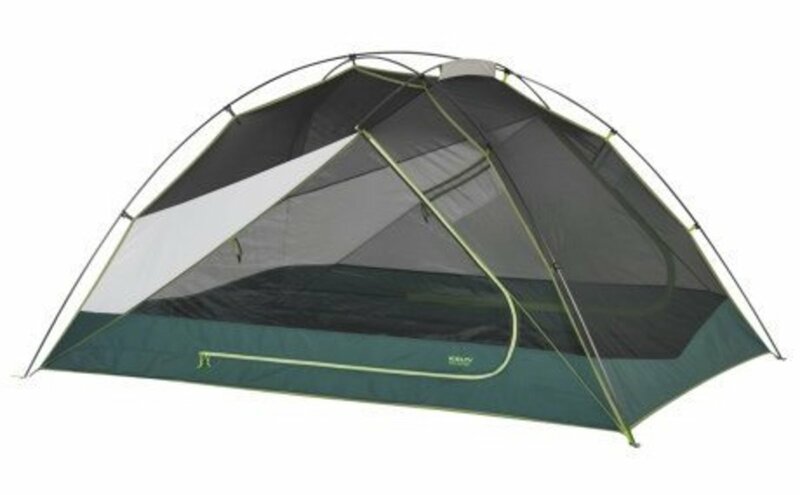 I've even fashioned a tarp out of one of these wafer-thin blankets during an unplanned overnight bivy on a very windy and rainy mountain range. Small Cooking Pot/Cup - Even if you aren't planning on cooking a meal on your hike, you should carry some sort of small vessel to boil water. If you can boil water, you can purify it or warm your body with some pine-needle tea on an unplanned night outside. Though I almost always carry a small stove, at the least I'll carry something like the UST Double-Up Cup that I can place over a fire if needed. As a multipurpose option, you can also boil water in most stainless steel water bottles in a pinch. Foam Pad - A closed cell foam pad is not only great insulation from the ground as a seat but is also multipurpose. It serves as a windscreen for a stove and can also be used as a splint for a broken bone. 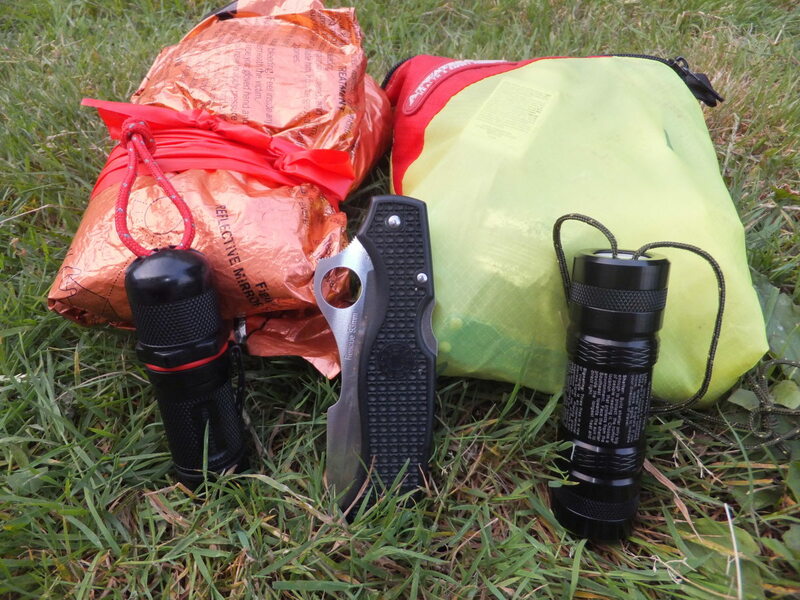 Though you should always carry the Ten Essentials, there are some things you should always try to carry in your pockets in case you are separated from the rest of your gear. Many peak baggers have a bad practice of dropping their packs in the col and climbing up the rest of the way with no gear. So what happens when you can't find the way back to your pack? What happens is you lose your pack in a river crossing and are washed down stream? Be prepared to stay the night by carrying Outbound Dan Human's Critical Four. Even as a lightweight backpacker, I carry two compasses with me. Though I always carry an orienteering compass in my pack, the compass on my person isn't nearly as fancy: I just need general direction. My High Gear altimeter watch has a built in electronic compass that works very well, but I usually throw on a simple watchband compass too. 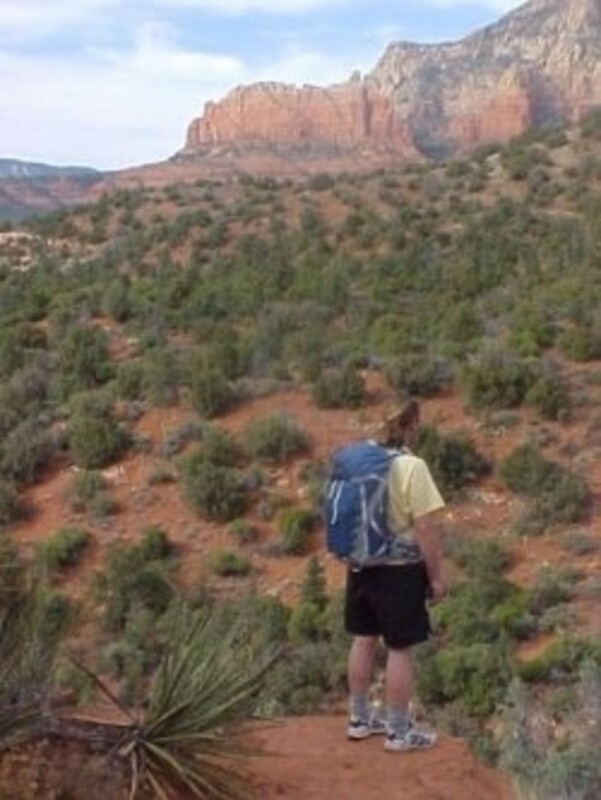 If I am purposefully leaving my pack behind, I will of course bring my full-sized orienteering compass. 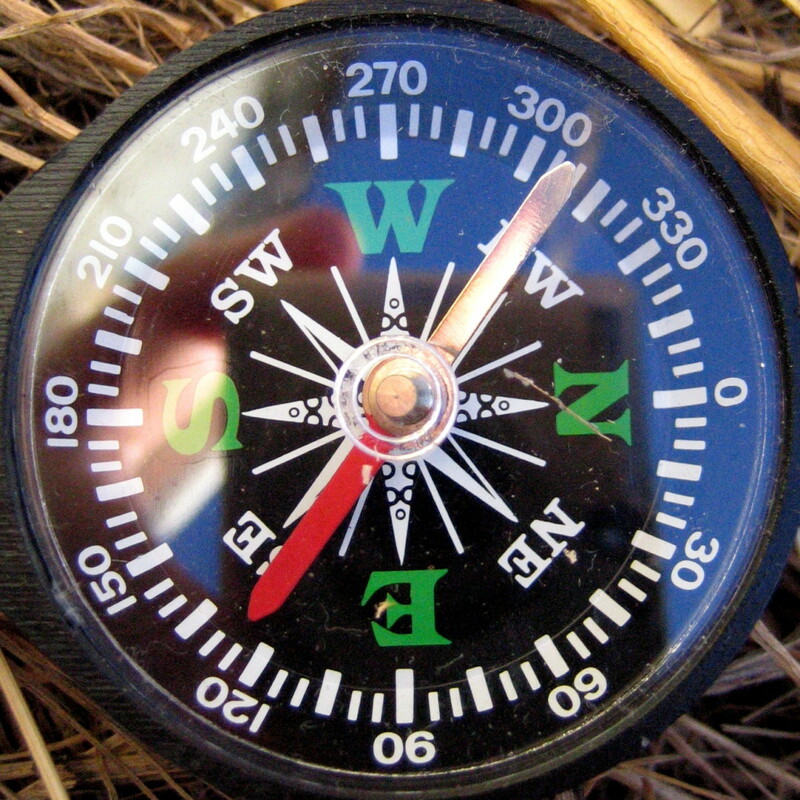 Even without a map, at least you can maintain a direction of travel if you possess a compass. When a person become lost, they begin to wander and have difficulty maintaining their bearings. Generally if you walk in a straight line for long enough, you will cross a road or a trail. That technique has gotten me out of pinches in the backcountry before. As described above, the hiking knife doesn't need to be complicated, it just needs to have a dependable sharp edge that is easy to deploy. There is a reason why a knife is man's oldest tool - it is perhaps the handiest in the wilderness. If you are going to have to make a survival shelter, you'll want a knife for cutting materials and branches. Also, if you have a knife on you, you can make a bowdrill fire starter. Now, I carry a neck knife so it is always with me. I've been carrying Cold Steel Para-edge knives for years, but recently started carrying an Esee Knives Izula with a cord wrapped handle. So why a neck knife? I hike a lot in winter, wearing clothing with zipped pockets so a knife is hard to get at. If it is in a kydex sheath around your neck, just yank, and it is ready to cut. This comes in handy in case you ever have to cut yourself loose from a sled. Ever since I was a toddler, I've carried a whistle whenever I am in the backcountry. Though, I've never had to use one to rescue myself, it's an ounce worth carrying in case I ever needed it. Remember the whistle is the easiest to use signaling device and that a whistle blast travels much farther than your shouts. The worse thing to do, is to store your whistle out of reach in your pack. What happens if you fall and are unable to put your hands on your whistle? Keep your whistle accessible by the fewest steps possible. 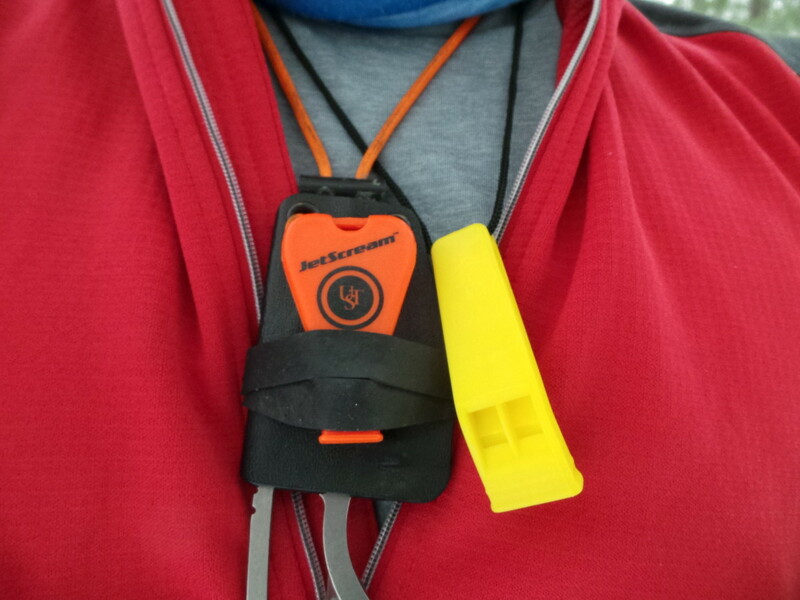 Good ways to carry a whistle include a (breakable) lanyard around your neck and attaching it to a jacket zipper. I do have a whistle attached to my neck knife sheath, the downfall being - if I lose my knife I lose my whistle too. Yes, many of us have a fire starting kit in our packs, but I like to keep something on me just for emergencies. The ideal personal emergency fire starter should be something that works when wet (remember it is in your pocket exposed to sweat, snow, and rain), is long lasting, and easy to use and ignite tinder. Years ago, I found that my butane lighters would freeze in very cold weather. I found that if I put a lighter in a plastic bag, then put it in the napoleon pocket in my jacket, it would stay warm so I could light my stove at night. I still carry a brunton firestorm lighter with a waterproof casing in my jacket pocket. The nice thing about torch-type lighters is that they have an extremely hot flame to start damp tinder and are very easy to use when your fingers are cold. Sometimes when I am going ultralight, I'll just attach a ferrocerium rod, to my knife or whistle. These sparking rods work when wet and release a very hot shower of sparks; however, they do take practice and are hard to use when your fingers are cold. How often do you carry the 10 Essentials? They now make "space sleepingbags" as an alternative to "space blankets" too. They're still super light and compact. I always carry one with me on day hikes even. The one I've purchased is a mummy-bag style; so it is mean to cover your head too, but still keeps the amount of air inside the bag low so you can still get warm. 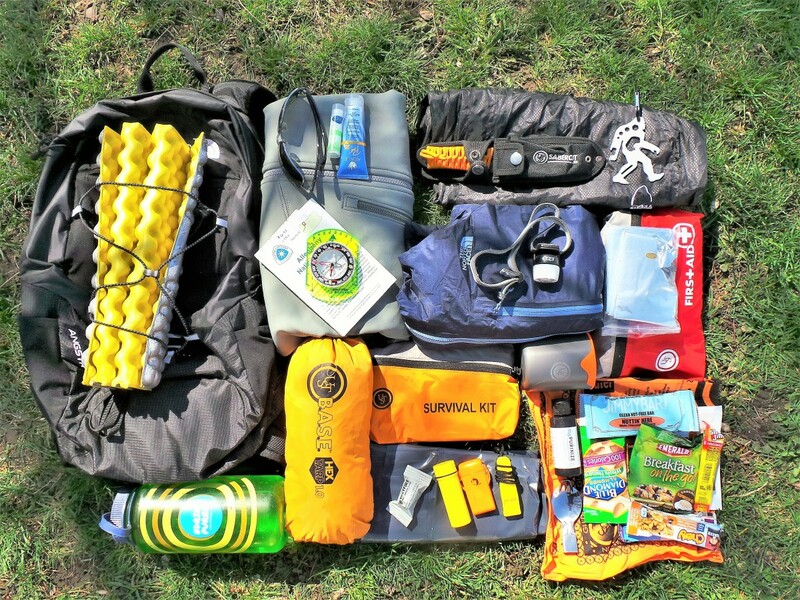 I'm really impressed with this list's descriptions and will be saving it to explain some of the gear to my husband (who is not a hiker by any stretch). Look around for seminars at local hiking clubs, outdoor stores and even Scouting groups. 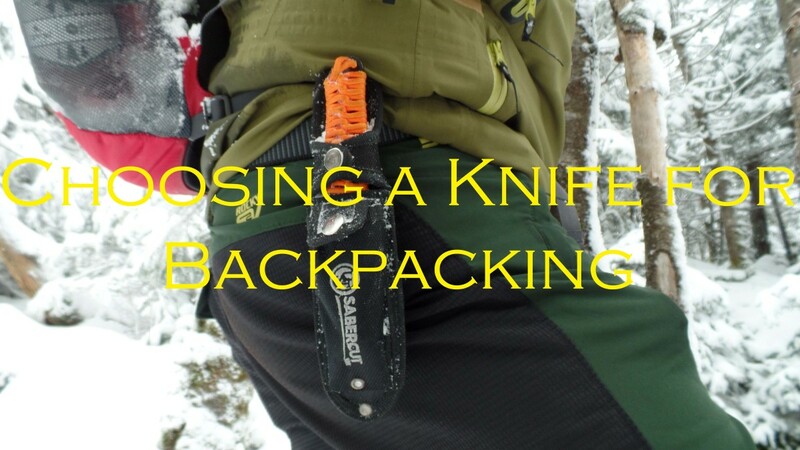 As far as a knife, look for some advice in my hub on the best knives for backpacking. 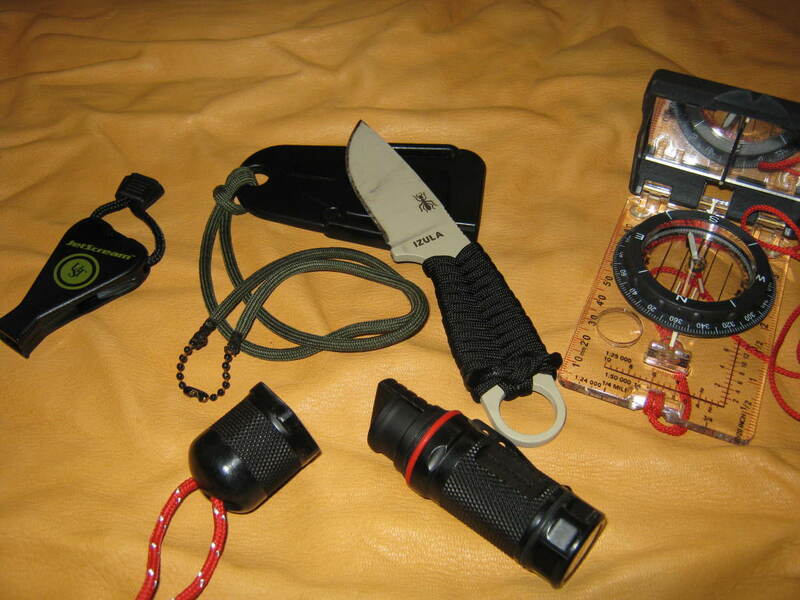 My current favorite is the Esee Izula neck knife paired up with a small leatherman. Helllo fellow hubber, Ive been wondering whether it is necessary to take one of those expensive survival courses or simply learn out of a book. The things you listed are not hard to practice at all. Im still trying to decide what ype of knife would be best for me. It's a classic but an important topic for many outdoor folks. Even non-outdoor folks can take a lesson on packing a bug out bag for emergencies. Thanks for sharing with your friends and thank you for reading drshohel - I appreciate it. Very important topic. Definitely I'm going to share it with my friends. Thanks for sharing. Now that sounds like an adventure with the promise of great stories to tell in the future. I wish them well and it would probably be good to carry the essentials with them. Thanks for the information, Outbound Dan. Passing it on to my son's. They are all planning their dream road trips in remote parts of our Country using rather questionable vehicles. These items would be great to have in their cars. I'm actually working on a new way to approach the 10 essentials, maybe that one will find some more publicity. I just met a large group while I was out backpacking that were grossly unprepared for the task at hand. I wish that they had browsed through some of my outdoor safety tips. Thanks for reading and for sharing starstream! Useful and necessary for any outdoor activity. Thanks for commenting jainsmus. You are quite welcome and thanks for reading Julie. Hopefully your Hubbie enjoys. 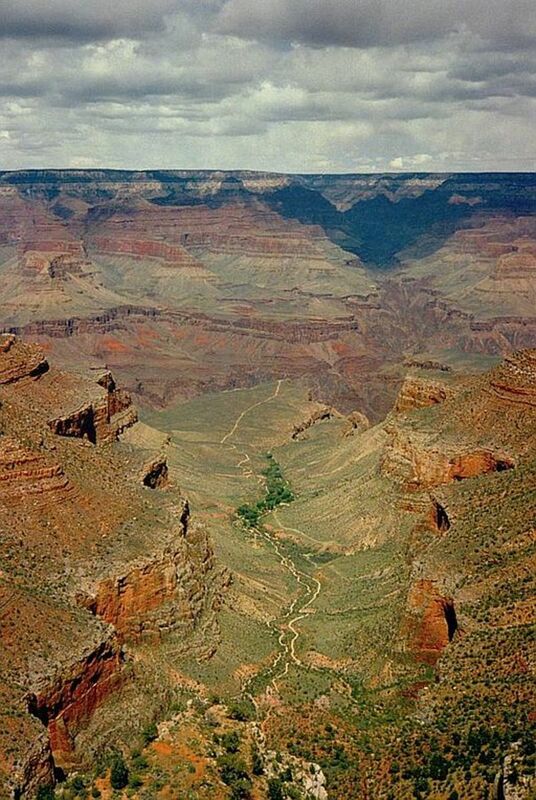 Hopefully you are having a great long hike CC. I was going to take one today, but we are getting some much needed rain. I'll be out most of the day tomorrow anyway. I do find that lists help us to be prepared. In my gear room, I have my small book of lists to help me get out with what I need. Your article is excellent and should appear in a magazine! I will share it because it may just save someone's life if they are prepared for the challenges of the hike or expedition. Thank you for sharing this great information, very useful for outdoor activity. This was very informative! Thank you :) Going to send it to my hubbie! That's great point Drea DeFoe, everything that you carry must be fully weather-ready. If it is going to get ruined or stop functioning in case it gets wet, you probably shouldn't carry it. As far as the machete goes, I guess it is personal preference. My buddies chastise me when I carry anything with a blade over 3 inches. This is a great hub. Living in the outdoors is great. Personally, I always carry a machete, and I never take anything I cannot leave out in the rain. Just passing on what I've learned. As you are an avid hiker, it is great to hear of your agreement brenda12lynette. Thanks for commenting and sharing! I agree completely! Good advice as usual Outbound Dan! Thanks Victoria Anne, I see you are from Vermont - there is great hiking there. Check out the Green Mountain Club for a bunch of trail information. This is a great hub! I've been wanting to get more into hiking and I will definitely be referring to this list when I start planning! Thanks Angela, I do what I can. Yep, I always tell people, try building a fire in the rain and see if you have enough fire-makin' stuff. I use to use a wood burning zip stove and I had to get very good at lighting fires in all manner of conditions. I'd always look for downed birch bark to stick in my pockets for the last hour of hiking. The one thing with military trioxane, is to use it in a well-ventilated area - I nearly killed myself with it in my young and foolish years. Thanks for stopping by and commenting! Great advice. Much of what you say I have learned through practical experience. Smaller knife, multi tool, garbage bag, matches AND lighter, fire starters (when you need it you want that fire going quick)Vasoline and cotton balls work great, but Triox from the Mil surplus is very nice to take along. When I see it I, grab a handful of Birch Bark and stick it in my pocket, that stuff is great. Thanks Longhunter and CyclingFitness! I have the sternum strap whistles on a couple of my packs too - come in handy; though they aren't the loudest they are far better than screaming. Osprey makes a fantastic bag, don't they? The neck gaiter has a prominent place in my gear too. I was issued one in the army years ago and have kept one ever since. I never had to use one as a bandage - but I guess it would work pretty well in a pinch. Great article. I tend to always carry a survival bag when i'm on in the wilderness as well as extra clothing layers. I'm lucky I never have to remember to bring a whistle as I purchased an Osprey bag a few months ago and they have a built in whistle which always comes in handy. The other thing I always bring is a buff/ neck gaitor which can be made into pretty much anything- I've even used one in place of bandage before on a cycling trip. Excellent article, Dan. I carry a bug out bag in my truck at all times. It contains all these things you've listed here and some more in a small backpack. It's come in handy more than a few times.